Yes, you have a name, a personal history, and important goals and aspirations. But there is so much more to you than that. 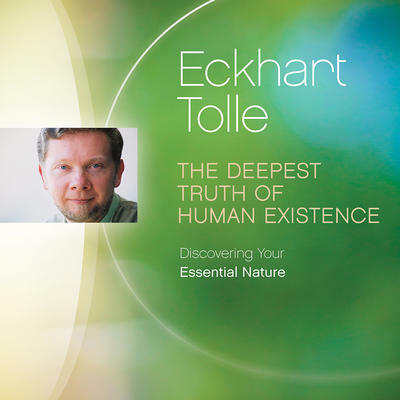 Recorded on retreat in Rishikesh, India, The Deepest Truth of Human Existence invites you to join Eckhart Tolle to realize who you are beyond the thought-based little me that too often dominates our lives. The truth of who we are is never found in the past or future, explains Eckhart. It is here, now, immediate. The Deepest Truth of Human Existence gives you the opportunity to make this great discovery yourself.